The 2015 triathlon season is rapidly approaching. So rapidly that I’m freaking out just a little bit. I am in decent shape, but not racing shape. It looks like I will have back-to-back seasons where I get into racing shape by racing. That seemed to work for me last year, as I didn’t die in any of my races. The Tour de Shore takes me as far north as Galloway Township, NJ and as far south as Lewes, Delaware. Every race is within an hour’s drive (one includes a ferry ride). No race requires hotel reservations. All races are reasonably priced. These things make my cheap little heart go all a-flutter. 6. Manland Invitational/July 25/Stone Harbor-Ahem. By invitational only. King Buzzy and his Most Lovely Queen host us in his backyard bay for a longer-than-advertised swim, then a spin around Stone Harbor and a 5k run. All of this is followed by the best party on the island. Donuts galore. www.youarenotinvited.com. 7. Atlantic City/August 9/Atlantic City-Ride on the Atlantic City Expressway? Run on the Atlantic City Boardwalk? Yes please. www.delmosports.com. Along with the racing comes the ridiculous, of course. Photobombing and Team WBTU and donuts and post-race beers and race reports. There is a 2014 race report for almost every race listed above. Feel free to wander around the site and find them if you are thinking about one of these races. All of the events are open, except Islandman, Escape the Cape, and Manland. 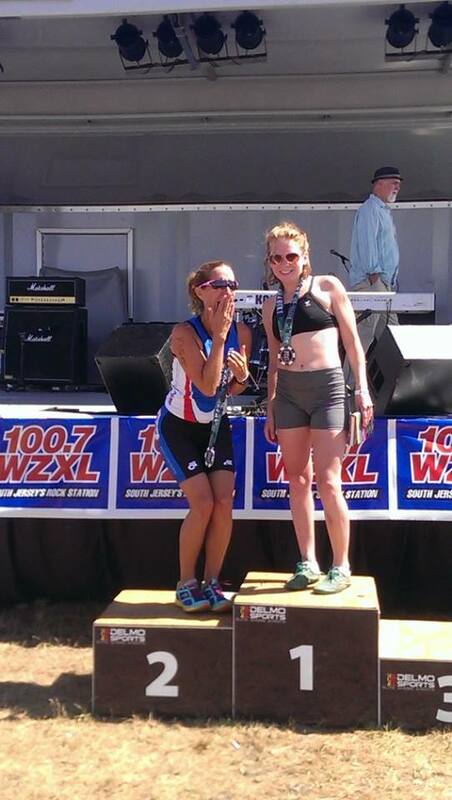 Your description of the swim at the Wildwood Tri was perfect! The first time I did it, that’s exactly what it felt like. I’ll see you at the AC Tri and at Wildwood. Good luck this season! Will we see Billy at Wildwood? Absolutely! He has been training hard. I’ll bet he could smoke me on the bike. He is so excited to be competing and I am honored to be on his team.